The Honda Ridgeline is a versatile pickup truck you can drive off-road and on-road with the same comfort. It fits all of your needs when you want to be outdoorsy and have an event to attend in the city in the same day. The Ridgeline has a robust engine that gives Birmingham drivers enough power to drive with ease anywhere you go. The rear row has seats that flip up, which give you the extra cargo room on the interior for anything you’d need to put inside to avoid the weather. Features that come standard with the Ridgeline are the In-Bed Trunk, Dual Action Tailgate, Color LCD Multi-Information Screen, Multi-Angle Rearview Camera, Bluetooth connectivity, and many other features. The Ridgeline is a pickup truck with features you can’t ignore. Come to Brannon Honda in Birmingham, AL today to check out the Ridgeline! In terms of performance and features, the 2017 and 2018 Ridgeline are very similar vehicles, but the 2018 Ridgeline has been simplified to our customers and drivers’ liking. There is now one less trim available, but two new exterior paint colors have arrived, being White Diamond Pearl and Lunar Silver Metallic. The Honda Ridgeline was first introduced in 2005 as its first dive into the North American pickup truck market. It was a hit when the 2006 model was released because it did not sacrifice ride quality for the ability to comfortably carry five passengers. It was just as strong as other pickup trucks and a comfortable ride. Sales started to drop over the years after its release and production was ceased in 2014. Honda then revived the Ridgeline with the 2017 model, keeping the features it was originally known for and giving it an exterior redesign and newer technology features. Just as it was with the 2006 model, the new Ridgeline generation still provides a very comfortable, smooth ride and can tow up to 5,000 lb. 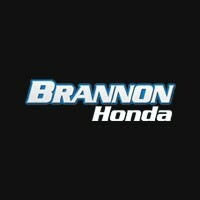 If you’ve been searching for the perfect pickup truck for you, please come on down to Brannon Honda in Birmingham, AL to see our selection of Honda Ridgelines and other Honda vehicles! We have been serving the Birmingham area and have great prices for Honda vehicles in the Birmingham, Homewood, Mountain Brook, and Hoover areas of Alabama. We are here to serve you, and cannot wait to help you find and lease or purchase your next vehicle. You can find us at 300 Gadsden Hwy, Birmingham, AL 35235 and we can’t wait to have you visit and see our selections!